Plaintiffs involved in a personal injury lawsuit can see how slow it takes when it comes to their lawsuit or settlement. It usually takes months or even years to settle. However, the plaintiff still has to pay their bills and continue on with their life as they await their settlement. Without money coming in, this can be quite difficult. But, it doesn’t have to with pre-settlement funding. If you believe that you need financial assistance, pre-settlement funding can provide you with an avenue for that. Certified Legal Funding provides pre-settlement funding to cash strapped plaintiffs that need financial help until their settlement comes in. If you are worried about using pre-settlement funding because you don’t know how to pay back the loan if you lost your case, then don’t worry! 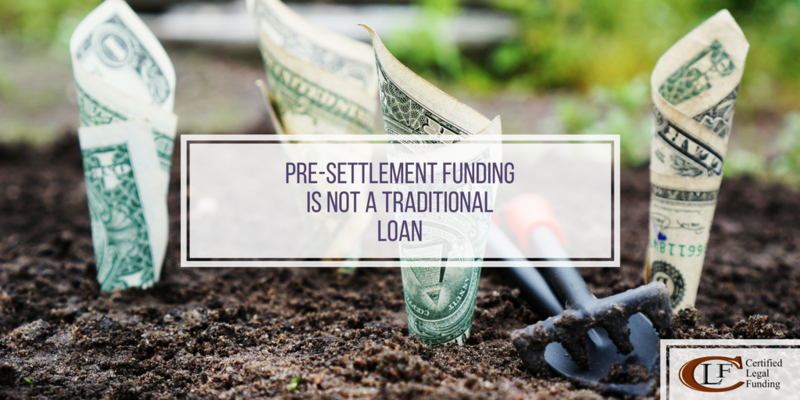 The way pre-settlement funding works is that you only repay the loan if you win or receive your settlement. If you lose, you don’t owe them anything. However, if you win, then the legal funding company will take out the money they gave you plus a small fee. The time between your injury and receiving your settlement could be a wide gap of time. So, though it may seem tempting to settle for less so that you can get money quickly, it is not worth it. With pre-settlement funding you don’t have to feel pressured into taking a smaller settlement amount. It actually removes the financial stress and burden and instead allows you to focus on your daily life or lawsuit. By leveling the playing field, you give yourself the opportunity to go toe-to-toe with the defendant, who may be in a position where they can afford dragging out the lawsuit in hopes that you settle early.